Architecture Lead Sony Rai spoke about the growing Canadian cannabis production and distribution industry on Ontario Morning from CBC Radio with Wei Chen. Sony is currently leading the development of The Peace Naturals Project’s 280,000 sq ft cannabis production facility, research and development centre in Stayner, Ontario. When cannabis becomes legal this summer, it will add to demand for land immensely. One recent report estimates that Canada’s eight biggest weed companies will require more than 8 million sq ft for growing marijuana by 2020, excluding logistics and distribution centres. Wei Chen: What is the relationship between pot and land use? Sony Rai: These types of facilities meet the zoning requirements for both agricultural and employment lands. What this means is that cultivation facilities for cannabis can be located on rural lands and also in industrialized areas in urbanized locations. Each of these two have their own unique challenges. Wei Chen: With the Staynor facility, did you want it to be aesthetically pleasing? Sony Rai: One of the concerns with neighbouring properties was seeing this facility. 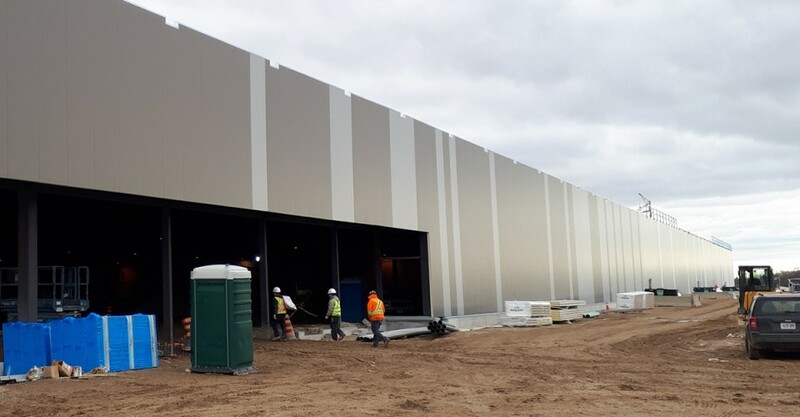 The client put a great deal of effort in trying to mask the facility from the adjacent property, so one of the things we tried to do with the cladding is not to use a single cladding colour…and we use a lot of landscaping and trees to try to mask the property. Wei Chen: What is your concern about these big boxes dotting our environment? Sony Rai: I think there’s a couple of key points to discuss. One is adaptive reuse – one of the great outcomes of this growth in these types of facilities is that there’s a large number of existing, empty greenhouses and warehouse spaces that now have been reused. We should also be looking at how to deal with these facilities in a multi level way. There’s a great example out of Montreal, Lufa Farms. They place greenhouses on a second storey, so what would be typically underutilized land, they’ve now capitalized on to grow produce. Wei Chen: We’ve already heard some concerns from communities about this burgeoning industry. What are some concerns that municipalities will have to deal with? Sony Rai: It’s just a new type of challenge for municipalities. In the towns that we’ve operated in, the Councils have been generally supportive because of the great number of jobs that these types of facilities bring. It’s a really good mix of horticultural science based jobs with general labour jobs. Click here to hear the full segment (starts at 33 minutes in).